Saving Energy in Condominium Associations - Advanced Management Inc. Saving energy in a community association doesn’t require drastic measures or embracing an extremely different standard of living. From small, everyday changes to long-term renovations, there are several things you can do conserve energy. In doing so, you will not only reduce your impact on the environment, you will see significant changes on your bills. If you want to conserve energy in your homeowner’s or condominium association, here are several simple steps that you can your community members can take. The first step in reducing your energy consumption is assessing how much you’re using. 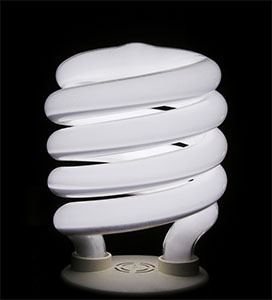 Document your current energy use, and look for opportunities to identify areas where you can cut back to start saving. When upgrading or replacing appliances, look for the Energy Star logo. This label indicates that the appliance meets the highest standards for energy conservation. As an added bonus, many of these products offer rebates, and tax credits are often available when switching from old appliances to newer, energy efficient models. In addition to appliances, you can also reduce energy usage by investing in energy efficient windows, doors and more. If the home in your association are not properly insulated, investing in better insulation is a project that will conserve a lot of energy in the long run. Look for simple ways to reduce usage. Setting the thermostat just a couple degrees warmer in common areas can lead to significant savings. Encourage community members to be mindful of their energy consumption, and ask that they turn off lights, adjust thermostats, etc. when they aren’t home. Trees planted strategically for shade can lower cooling bills. During the cooler months, tree windbreaks can help keep homes warmer as well. Talk to your association’s landscaping company to learn more about how they can make your community’s landscaping a bit more environmentally friendly. At AMI, we are experts when it comes to all aspects of community management. From helping you find ways to reduce your energy consumption to working with homeowners to ensure that they are doing their part, we do it all. To learn more about condominium management in Bradenton, Florida, contact us today!